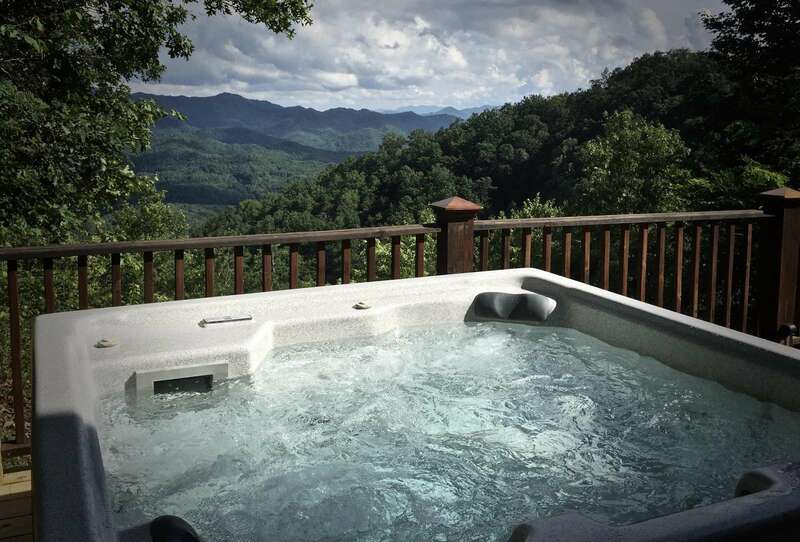 Sparkling Hot Tub is placed under the Stars, and Overlooks the Mountain Views... 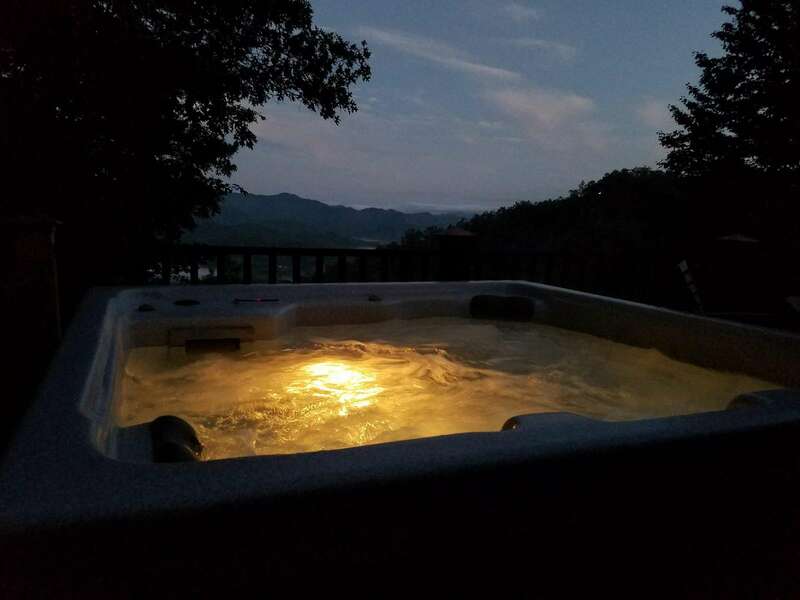 Cozy evenings by the Fire, Your Mountain Time starts here...... Photo taken from the hot tub deck Solid surface Counter tops and a well appointed Kitchen Kitchen is a Chef's delight, and is ideal when Entertaining! Grilling out has never been more "View-licious"! 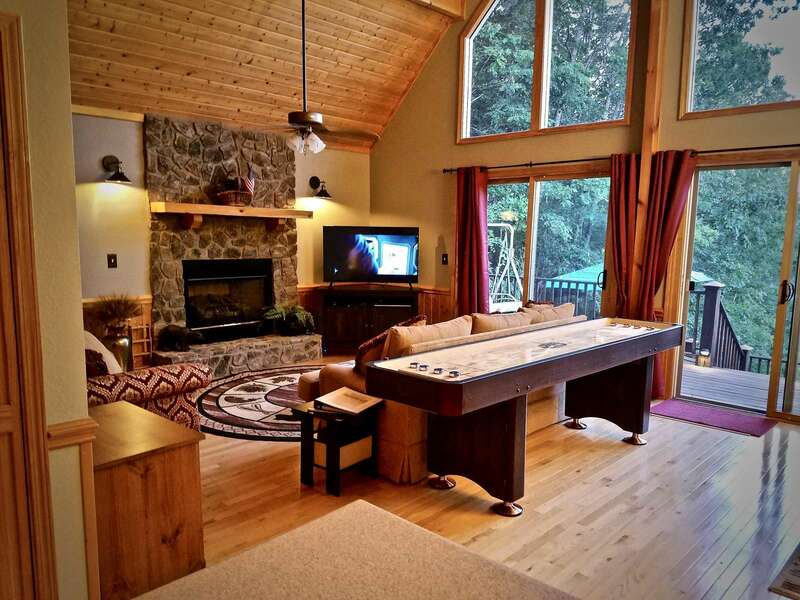 Festive Holiday Decor Large flat screen HD TV, and a Cozy Stone Fireplace Cozy Living Room with 50" Flat screen HDTV Shuffleboard Anyone? So much fun for the entire family! Pull up a chair, 5 star dining Open Concept floor plan is ideal for Entertaining! New (2018) King Bed in the Master There is a full bathroom on each level of the cabin Main Level Queen Bed, is prepared with Luxury Linens and Bedding! Renovated and Updated! 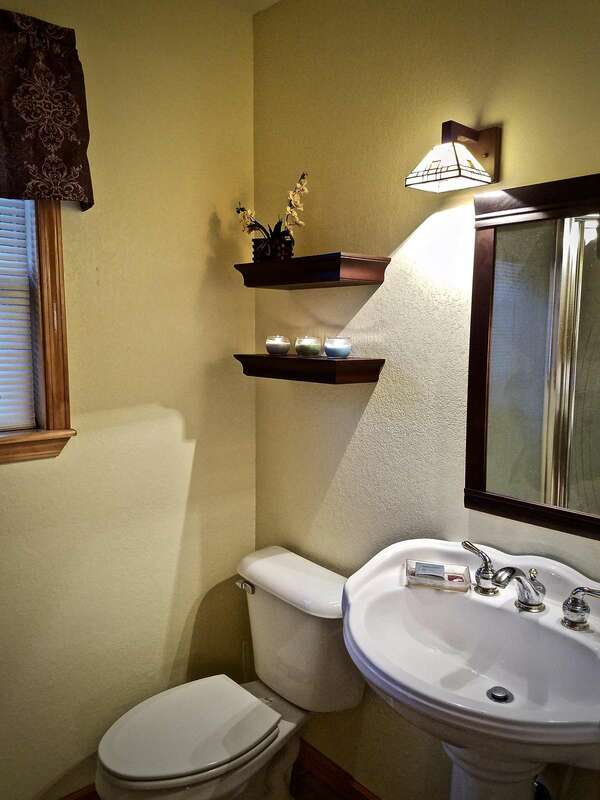 Main level Bathroom offers a Jetted Tub... "In case you forgot something" size Guest amenities are provided Relaxing at the Fire Pit is quite Cozy! Fire Pit is ideal for Gathering, so bring the S'Mores and brush up on the fireside stories... View photo taken from the Cabin Deck Sparkling and Inviting Evening View of the Hot Tub Two plush bathrobes are available for your use during your stay Located at the East side of the Gorge, and within minutes of the area Activities! Loft offers spectacular Views! 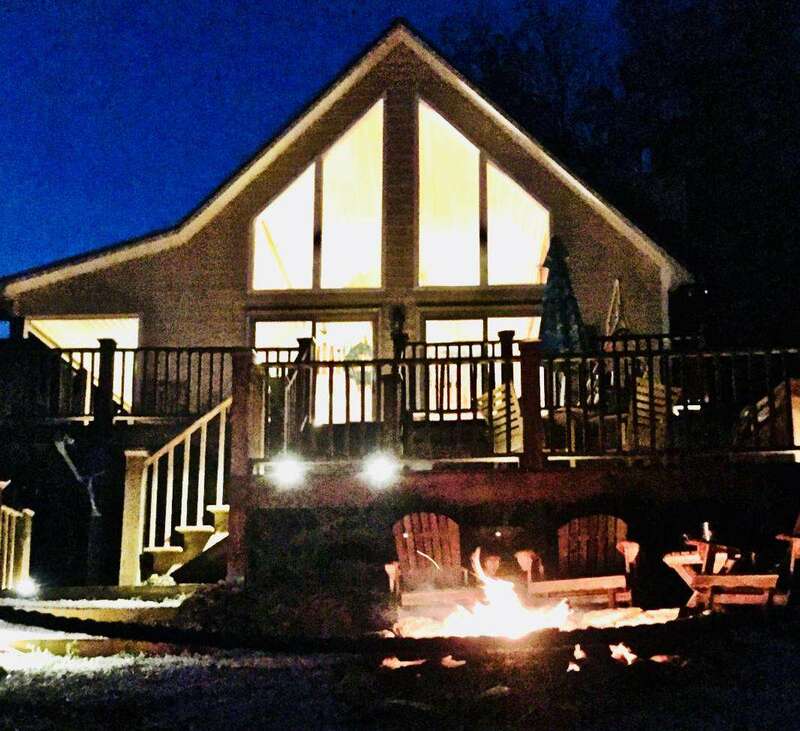 New ReviewThe cabin provided the perfect place for our weeklong getaway. The view is spectacular!! Coffee on the deck each morning brought ever-changing scenery. The kitchen had everything we needed. The beds were comfortable and welcoming after a day's activities. We spent most of our time on the fabulous 3 tier deck enjoying the hot tub, rocking chairs, and fire pit. 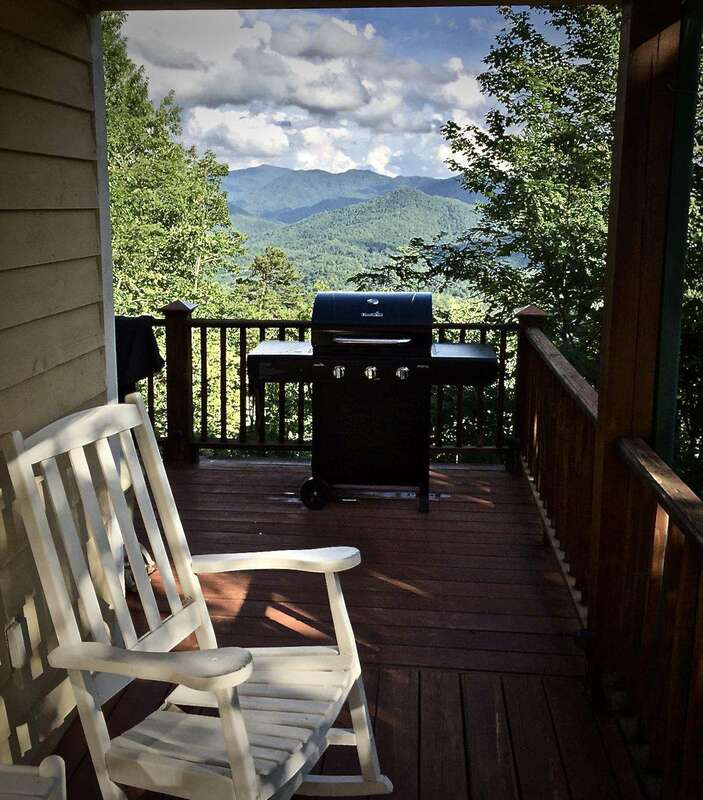 The cabin is close to the quaint town of Bryson City and lots of outdoor activities. I would definitely recommend this property! If you like quiet serenity with amazing views, you will love Mountain Time. 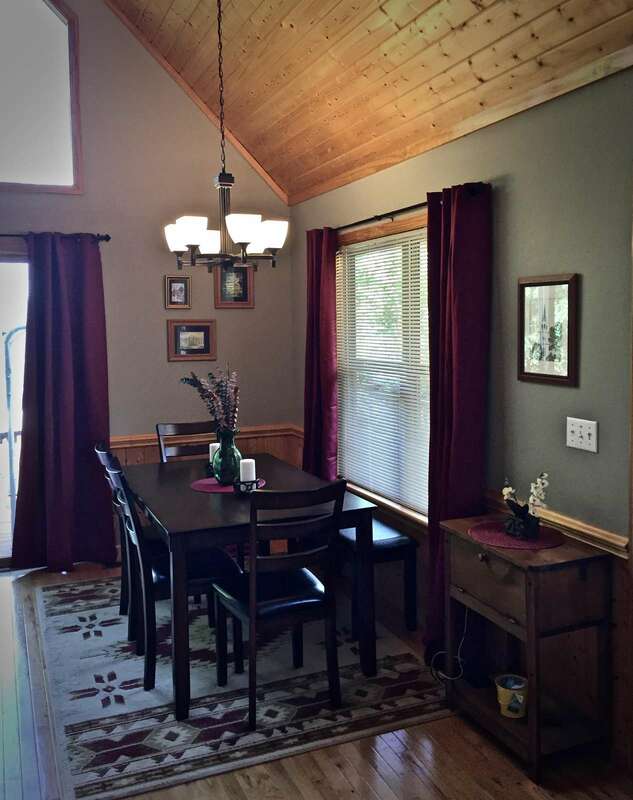 The cabin was cute, comfortable, clean, and everything the pictures show in the listing. The outdoor space is also well-furnished, comfortable, and has those spectacular views. We loved eating and shopping in Bryson City, hiking in the park, and whitewater rafting all within 20 minutes of Mountain Time. Great experience! This house was amazing. Great location in the mountains and super clean with hot tub and shuffle board to play. Very relaxing weekend. Would definitely recommend. Amazing view and space. Very private feel but only 10 min or so from Bryson city. Loved it!! The cabin was very clean and great amenities including TV, WiFi, shuffleboard, gas grill, etc. We enjoyed making s'mores with the fire pit and soaking in the hot tub. It was very close to river rafting and downtown Bryson City. This place is amazing! 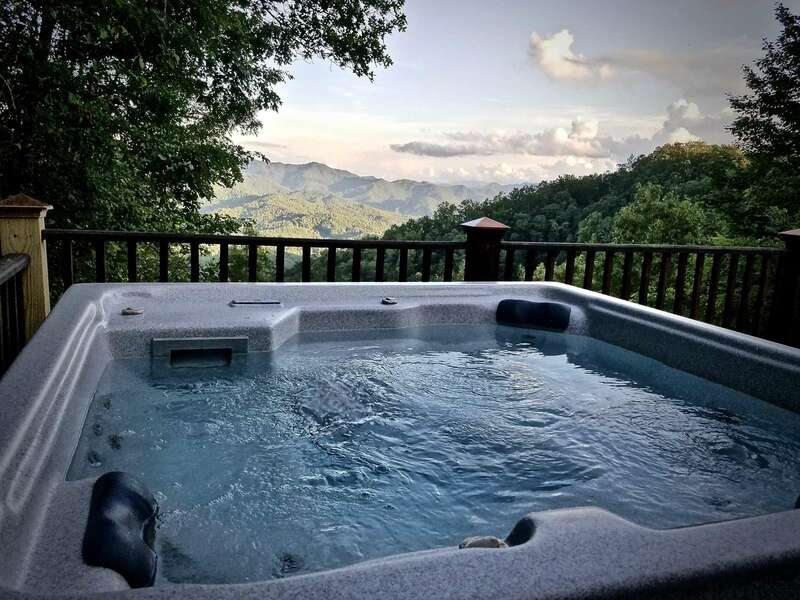 The view is magnificent from the fire pit and hot tub. The back yard is private and peaceful. The blankets on both beds were amazing (I actually got online and ordered the exact same one for myself already)! It had everything we could possibly need, especially for cooking all of our meals. Clean, beautiful, and relaxing! Communications were easy and thoughtful. Will definitely be staying here again! Amazing time with excellent views! Quiet, secluded and so relaxing for a nice weekend get away!! The people are friendly, the owners are amazing and will definitely be back! We had such a great time in this cabin! The views were amazing, and it was great to be able to hike to waterfalls with just a 15 - 20 minute drive! One of the best properties we’ve stayed at over many years of visiting the Smokey’s! We loved every minute of our stay at Mountain Time. 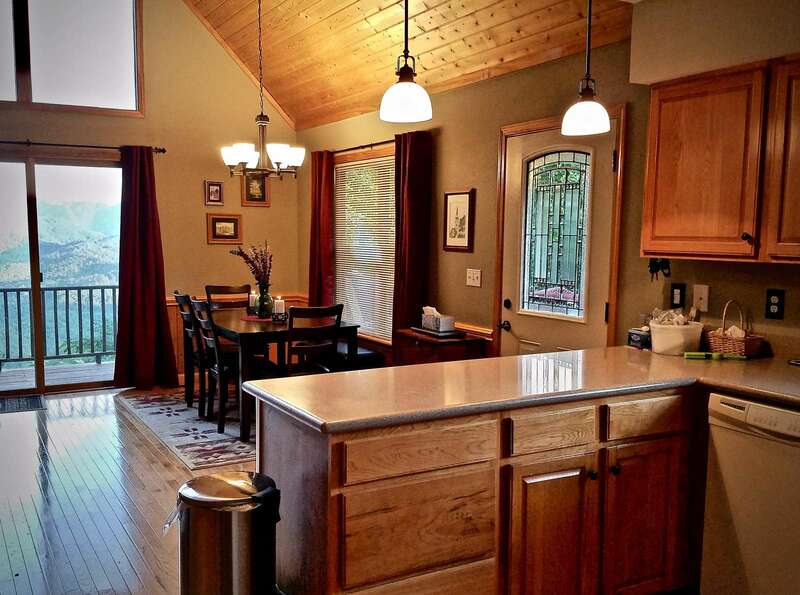 The house is perfect offering a fully stocked kitchen and even robes for the hot tub! We love the NC Mountains and will definitely be back. Thank you for an amazing experience. Wonderful Mountain View and we were there around peak season for the leaves changing. Will definitely stay again. 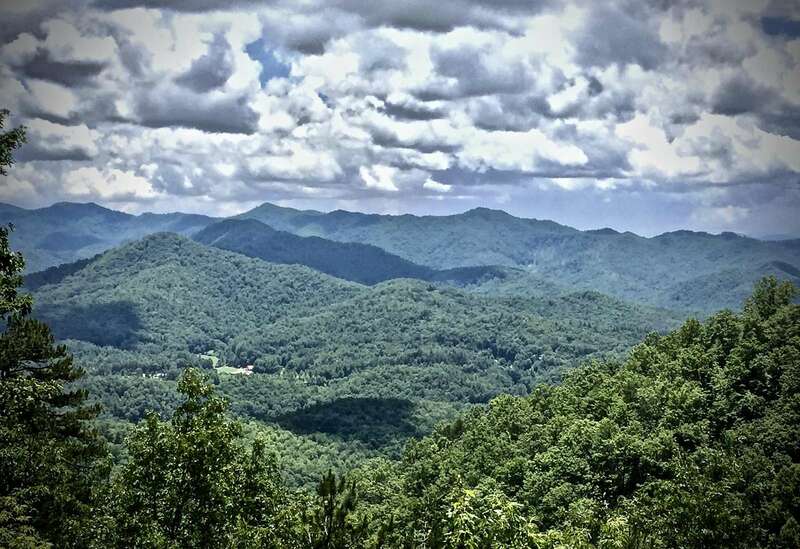 Great proximity to Bryson City, National parks and hiking. 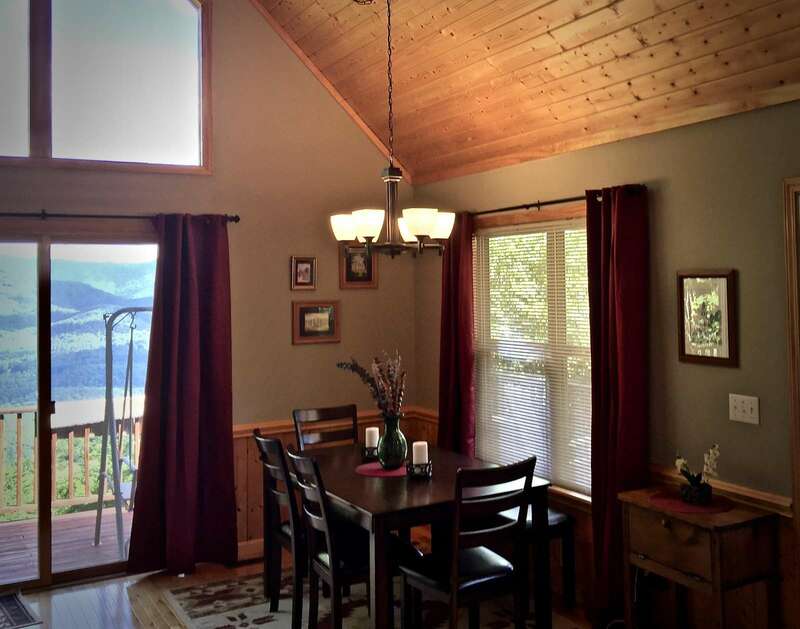 Absolutely beautiful cabin with all the amenities and views you could ever want! Our 6 year old son loved it too!! We really loved the view and quietness. A new nice cabin on the mountain top with all needs considered. The deck and the interior have the nice view of the valley and the mountains. Everything worked out as expected, or better. Read the invitation mail for the correct driving direction, I did not do that and ended up on the other side of the mountain, no harm done but a bit of confusion for a minute. 15-20 min drive down to Bryson City. Boat rentals available and fishing in the rivers or on the lake. Hiking in the Smokie Mountain Natianal park. All in all a very nice alternative! Nicely remodeled and beautiful views. 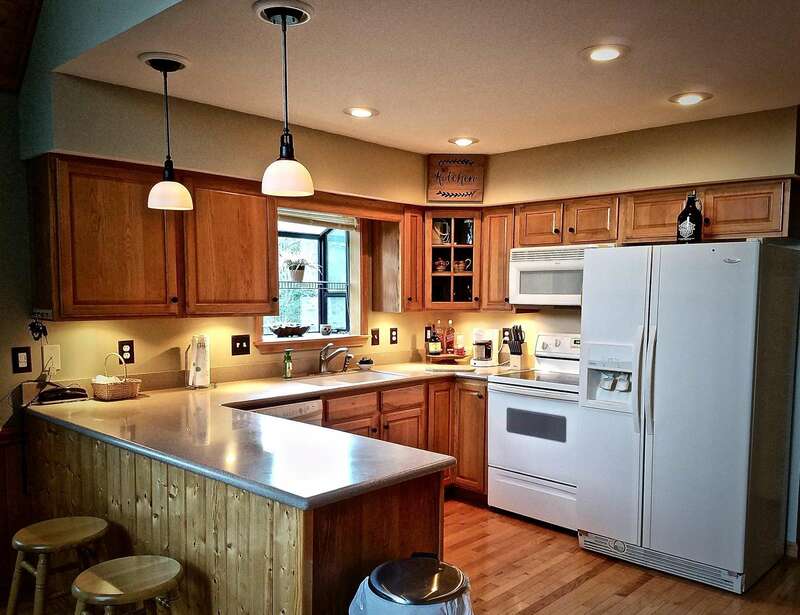 Well equipped kitchen and all the amenities that u could desire. Quiet and peaceful. Our stay at Mountain Time was wonderful, and a nice break from the hustle and bustle. The Owner/Manager did a wonderful job providing the things one might need while being away from home- down to bathrobes for the hot tub! We enjoyed playing shuffleboard and dominos during the rainy times. 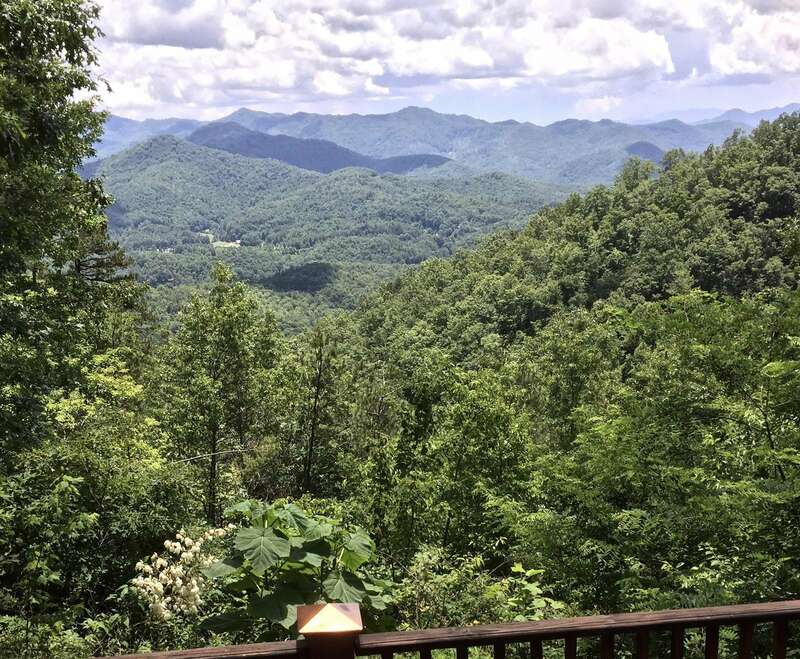 Travel to Bryson City was 15 minutes give or take, as well as our trip to Nantahala Outdoor Center. Highly recommend the local breweries and a pizza at Anthony's! We definitely plan to return.